For some of the reviews below I may have received a free sample of the product for the purpose of writing the review. However, if I do not like a product, I am under no obligation to review it, so the opinions expressed below have no bearing on whether I received a free sample of the product or not. I LOVE this T.V. series! We used it when I taught my son about the Revolutionary War in elementary school, and it was probably his favorite history unit—partially due to Liberty’s Kids. It may be hard to find on TV, but, luckily, you can now order the whole series on DVD at a very affordable price ($5.00 at the moment on Amazon). After watching this show, my son was quoting Patrick Henry (“Give me liberty or give me death!”) and organizing Patriots and Redcoats games with his friends. What better measure of success can you have? By Wanda C. Phillips, Ed.D. I was getting desperate. My son was in seventh grade and still couldn’t seem to “get” grammar. We’d tried all kinds of grammar courses, but nothing seemed to stick. Then, a homeschool friend mentioned the Easy Grammar series. It sounded interesting, so we tried it out. From the moment I saw it, I knew this was the course for us. And I was right. My son now “gets” grammar. This method of teaching grammar is simple and very effective. Most grammar courses start with nouns and verbs, but this one starts with prepositions. Students are required to memorize all of them. Once a student can recognize a prepositional phrase and take it out of the mix, it is much easier to recognize the other parts of a sentence. We started with Easy Grammar Grade Five because I was unsure exactly where my son stood in terms of grade level with his grammar. We have now jumped up to Easy Grammar Plus, which is billed as “junior high through adult,” and, so far, he is breezing through it. It appears that there is a lot of repetition from one book to the next in the books for the lower elementary grades, so I think it would be possible to skip ahead in some of these books if you know that your student has mastered a concept. There are two Easy Grammar series. Easy Grammar covers grades 3-6 and Easy Grammar Ultimate covers grades 8-12. There is also the single book, Easy Grammar Plus, which covers grade 7 through adult. However, Easy Grammar Plus is not a substitute for the Easy Grammar Ultimate courses for grades 8-12, which look like they cover different concepts. For more course descriptions (or to purchase their books), go to: Easy Grammar. Trying to figure out what books to purchase was a bit confusing. Each grade level has three books: a student workbook, a student test booklet, and a teacher’s guide. The teacher’s guide does not say “teacher’s guide,” it is just the title of the book (i.e. 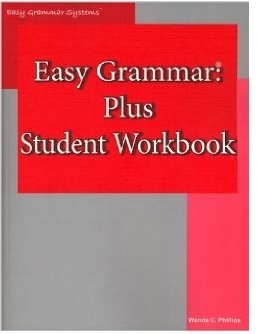 Easy Grammar Plus or Easy Grammar Grade Five). People who have access to a copier and want to save money could just purchase the teacher’s guide, which includes blank copies of all of the worksheets and tests. However, the teacher’s guides are very fat and are be a bit of a hassle to copy, so the student workbook and test books are handy. I highly recommend this series and wish that we had discovered it sooner! This book is a must-read for those of you who are thinking of homeschooling through high school. Lee Binz goes through the process of making a homeschool transcript step by step and makes what to some is an overwhelming job seem easy. The book is full of real-life examples of homeschool transcripts that her children and others used to get into the colleges of their choice. She breaks down the whole process of making a transcript into very easy steps. One of the most important things I realized as I read this book is that I need to start working on my son’s high school transcript as soon as he starts high school and not wait until he is almost finished. On a side note, I found Lee’s children’s transcripts a bit intimidating, not in the sense of actually writing one, but more of, “Oh my, is my son up to those standards?” Luckily, she also presents examples of other homeschooler’s transcripts which made me not feel so inadequate! Plus, it was actually good to see what other homeschoolers who made it into college did during high school to get into college. It’s definitely better to find these things out now, before my son is in high school, than to find out later when it would be harder to catch up. I found Lee’s book very informative and highly recommend it. 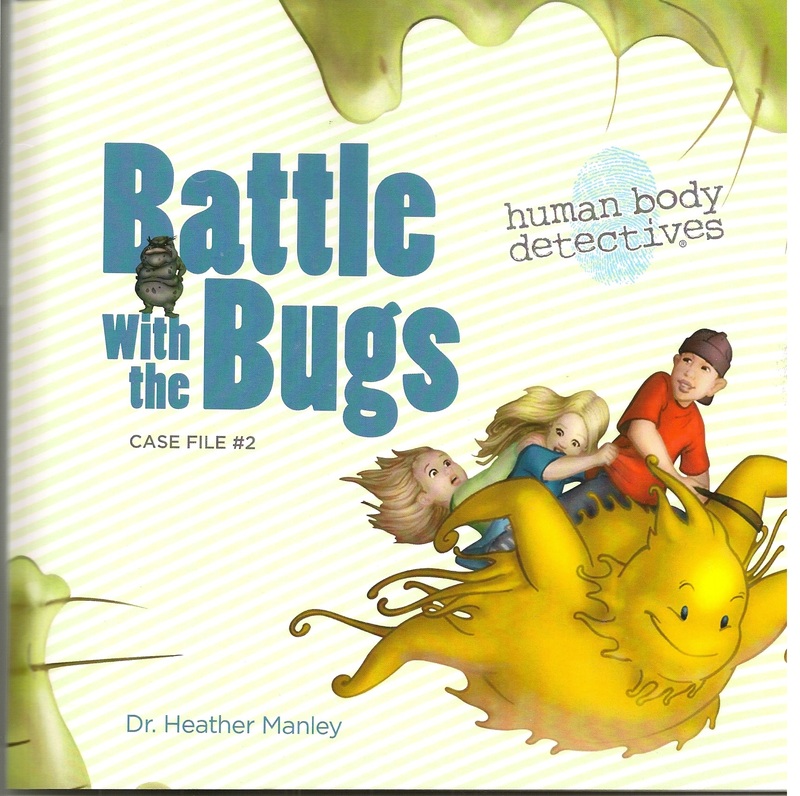 I wish that Heather Manley had written her Human Body Detectives series when my son was younger! What a great series for teaching kids about the human body! Sisters Merrin and Pearl have the ability to go into the human body, and they use their powers to help cure people. As readers follow them on their detective missions, they learn all kinds of interesting things about how the human body works. In the Battle with the Bugs, Merrin, Pearl, and their cousin Sam help macrophages defeat the viruses and bacteria infecting their cousin Max. The story is an exciting read and introduces facts about the human body in a fun way. The author also has included some interesting facts in the back of the book, along with a glossary, jokes, and healthy eating suggestions. This is the second book in her series which currently has three books in it (though I hear that there are more planned in the future). To learn more about the series click here: Human Body Detectives. Heather also has a curriculum available to go along with each book and a fourth curriculum on nutrition. I was just given the opportunity to review Homeschooling Why and How, and I am very impressed! 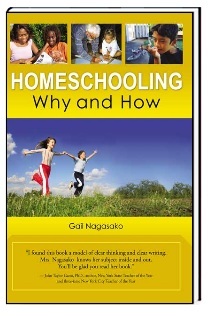 The book is divided into three basic parts: Why Homeschool, How to Homeschool, and What Next. My absolute favorite section was the first one. (Why Homeschool?) Right from the start, even in the preface, Gail has put into words all of my thoughts through the years on why I love homeschooling. If anyone out there is wondering why so many of us have chosen to teach our children at home, they should read Gail’s book. The next section (How to Homeschool: The Basics) answers many of the questions that beginning homeschoolers might have. Questions such as How to get started? Is it legal? or What about college? This chapter will be particularly interesting for beginning homeschoolers who need a bit of guidance to get started. The final section (What Next?) concludes the book and has some interesting excerpts about homeschooling and education. I found Homeschooling Why and How an interesting read with a wealth of information for anyone who is considering homeschooling, wonders why people homeschool, or would like to re-affirm why they themselves homeschool.